The Flag of Estonia Bill (470 SE), initiated by the Constitutional Committee. The Bill on Amendments to §§ 8 and 11 of the Unemployed Persons Social Protection Act (472 SE), initiated by Member of the Riigikogu Eiki Nestor. The motion of the Social Affairs Committee to reject the Bill from the legislative proceeding was not supported. 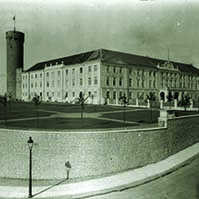 On the motion of the Constitutional Committee the Bill on Amendments to the Persons Repressed by Occupying Powers Act (480 SE), initiated by nine members of the Estonian Centre Party Faction. 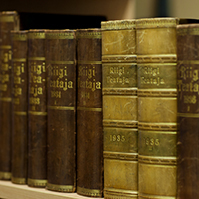 48 members of the Riigikogu voted in favour of the rejection of the Bill from the legislative proceeding and 16 members of the Riigikogu against it. On the motion of the Economic Affairs Committee the Bill on Amendments to § 16 of the Roads Act (495 SE), initiated by the Estonian Centre Party Faction. 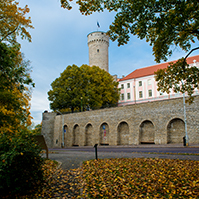 36 members of the Riigikogu voted in favour of the rejection of the Bill from the legislative proceeding and 18 members of the Riigikogu against it. On the motion of the Finance Committee the Bill on Amendments to the Income Tax Act and to the Income Tax Act, Social Tax Act and Land Tax Act Amendment Act (464 SE), initiated by the Isamaaliit Faction. 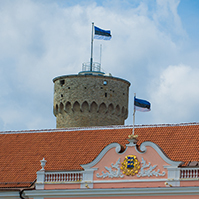 37 members of the Riigikogu voted in favour of the rejection of the Bill from the legislative proceeding and 26 members of the Riigikogu against it. On the motion of the Finance Committee the Bill on Amendments to the Income Tax Act (466 SE), initiated by the Social Democratic Party Faction. 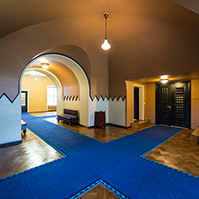 39 members of the Riigikogu voted in favour of the rejection of the Bill from the legislative proceeding and 28 members of the Riigikogu against it. The last item on the agenda ? 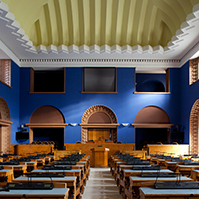 the Bill on Amendments to the Income Tax Act (465 SE), initiated by the Estonian Centre Party Faction, was postponed to Wednesday?s sitting, due to the end of the working hours.